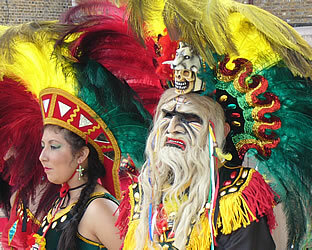 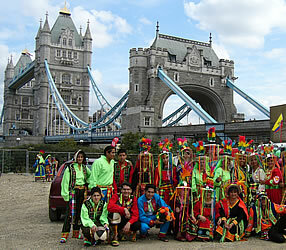 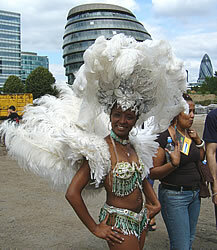 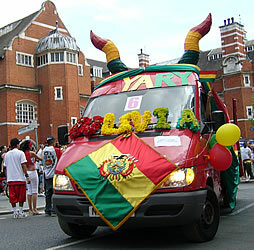 The Carnaval del Pueblo festival is a free annual event is organised by the various Latin American communities in London, with assistance from the Mayor of London. 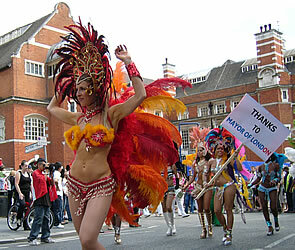 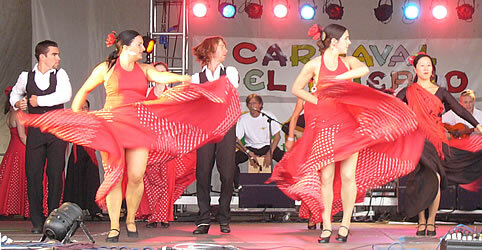 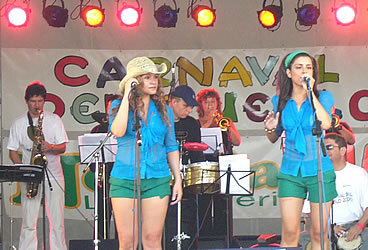 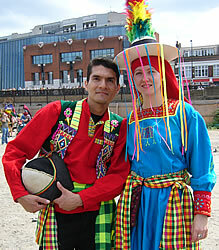 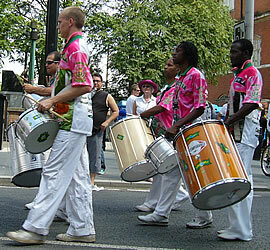 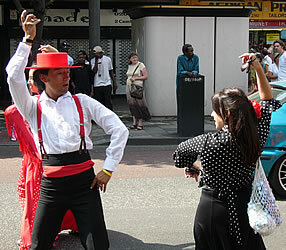 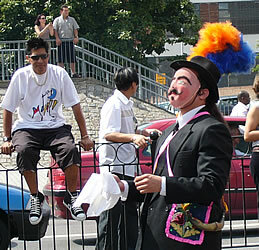 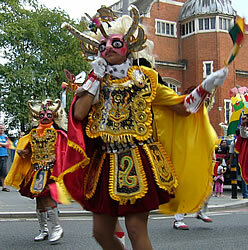 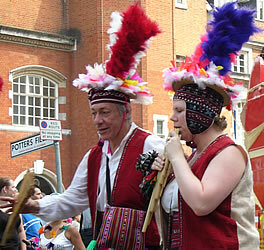 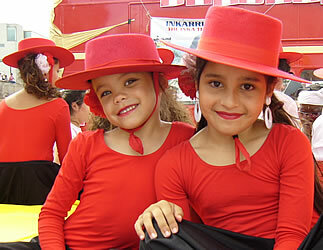 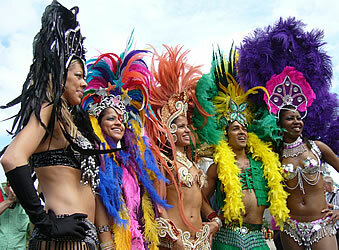 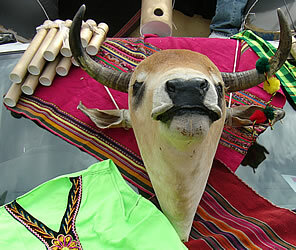 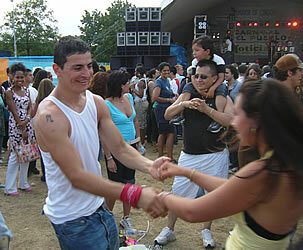 It is the largest Latin American festival in Europe. 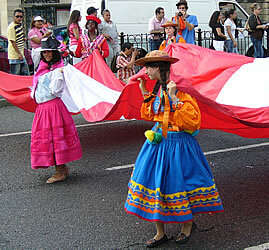 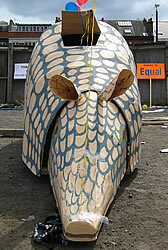 This year's event will take place on Sunday 19 August 2012. 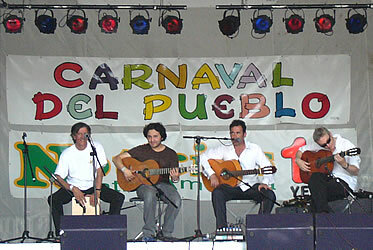 The pictures below were taken during the 2006 festival. 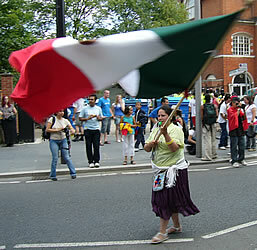 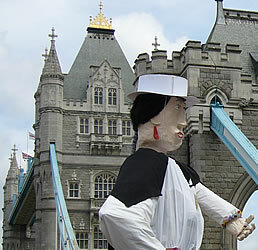 In previous years the procession assembled in Potter's Field Park (next to Tower Bridge and City Hall), but in recent years it has started in Elephant Road, near Elephant and Castle Tube station.